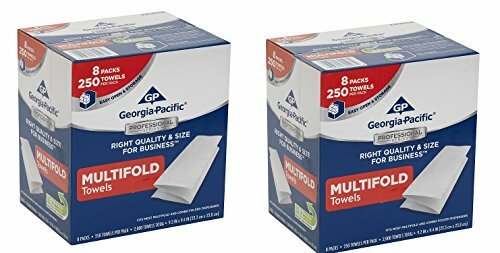 Georgia-Pacific Professional Series products specifically address the unique needs of small businesses by delivering a new level of convenience, quality and value. The exclusive EZ Access cartons are smaller, color-coded and feature perforated openings to help make shopping, finding, handling, storing, displaying, and accessing products easier and faster in limited space. Since they're offered at a smart price point, they can help businesses better manage supply budgets too. Meets the requirement of the Sustainable Forestry Initiative chain of custody standard: 100% SFI Certified Sourcing.